Cross a major chore off your to-do list by letting us take care of the house cleaning. It's a pleasure knowing your whole home has been cleaned by a professional team you can trust. 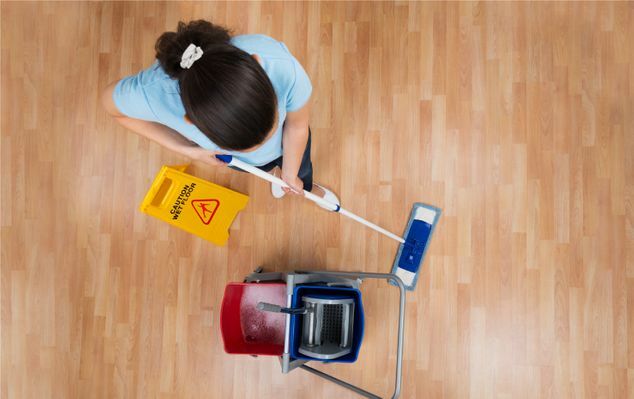 Our cleaning services are thorough, consistent and customized. If you would like to request additional service, change your cleaning schedule, or skip an area in your home, just let us know! We are happy to fulfill your request in order to exceed your expectations. Our at home cleaning services are available weekly or every other week (bi-weekly), with a minimum of four hours per visit. A Substitute Cleaner will be provided when your regular cleaner is unavailable. • Dusting Trim Work, Baseboards, Doors, Picture Frames, Light Fixtures etc. Our commercial office cleaning crews perform rapidly and in an effective manner. Our crews take care of the most difficult cleaning operations for businesses of all sizes, large and small. We schedule around your timetable. You will be amazed at the results! • Dusting Furniture, Equipment, Partitions, Walls etc. • Wiping Down Walls, Woodwork, Doors, Wall Hangings, Baseboards etc.